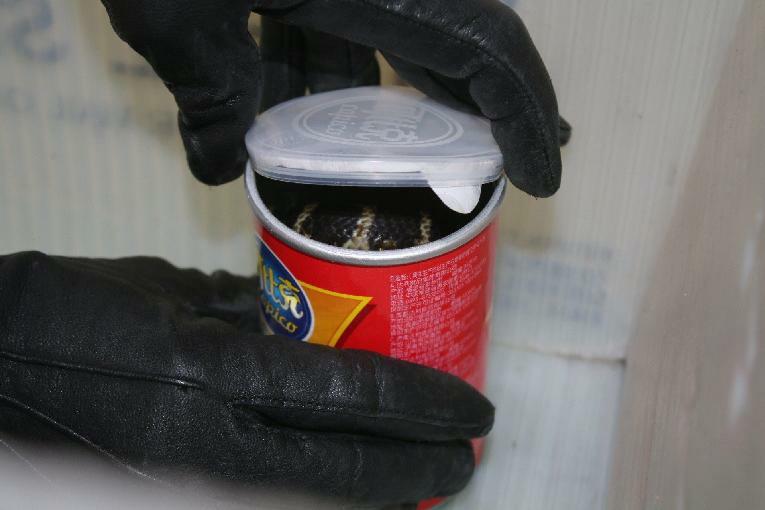 A photo released by the U.S. Department of Justice shows a package that customs inspectors found March 2, 2017, containing three live 2-foot king cobra snakes. *Jiminee Christmas! What dumb azz would do such a stupid and dangerous thing? No need to scratch your head for the answer. We’ll tell you. His names is Rodrigo Franco and he’s from Monterey Park in Southern California. He was charged with one count of illegally importing merchandise and is slated to be arraigned in August, according to the Los Angeles Times. Federal agents arrested Franco, 34, for smuggling the killer reptiles using the U.S. Postal Service back in March. 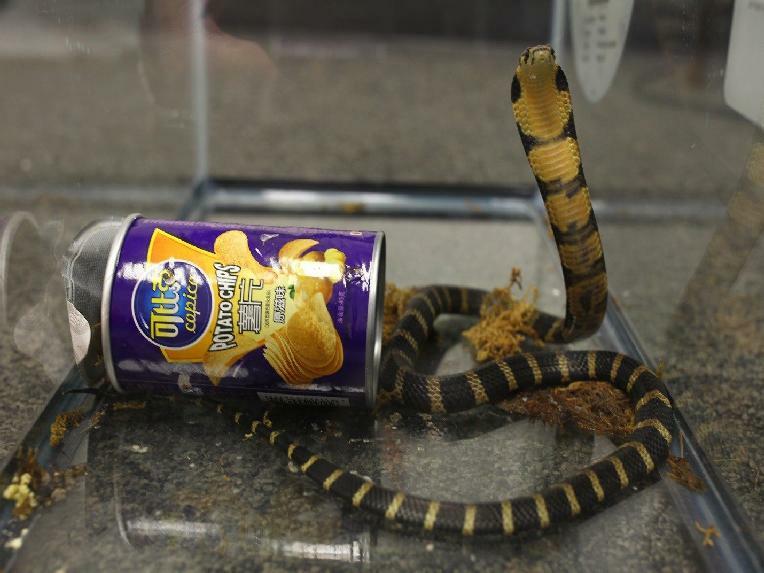 The snakes were discovered by Customs and Border Protection agents who inspected the package and discovered the 2 foot long cobras — each in its own potato chip canister. The cobras can grow up to 18 feet long. For what it’s worth, he also allegedly smuggled 9 turtles. As for the 3 cobras, 2 are in the San Diego Zoo, and the other died. On top of the foregoing, authorities say the man admitted to also smuggling TWENTY other king cobras in 2 prior shipments … but they were all DOA. On Tuesday, Franco was charged with one count of illegal importing and faces up to 20 years in prison. Agents serving a warrant allegedly found Franco’s home filled with reptiles, including tanks with a live baby Morelet’s crocodile, alligator snapping turtles, a common snapping turtle and five diamond back terrapins. Prosecutors said each of those creatures is protected under U.S. law. This was not Franco’s first time being accused in a cobra-smuggling attempt. Franco told an agent from the U.S. Fish and Wildlife Service that he had previously received 20 king cobras in two other shipments, but he said they all died in transit, according to court documents. The report says agents also searched Franco’s phone and discovered messages he exchanged with a person in Asia regarding shipping turtles and snakes between Hong Kong and the U.S., prosecutors stated. Franco said in those messages that he had previously received live cobras and planned to give five of the snakes to a relative of the contact in Virginia, court papers said. If convicted, Franco could spend 20 years in prison. This is just stupid on all kinds of levels. We’re glad this idiot got busted.